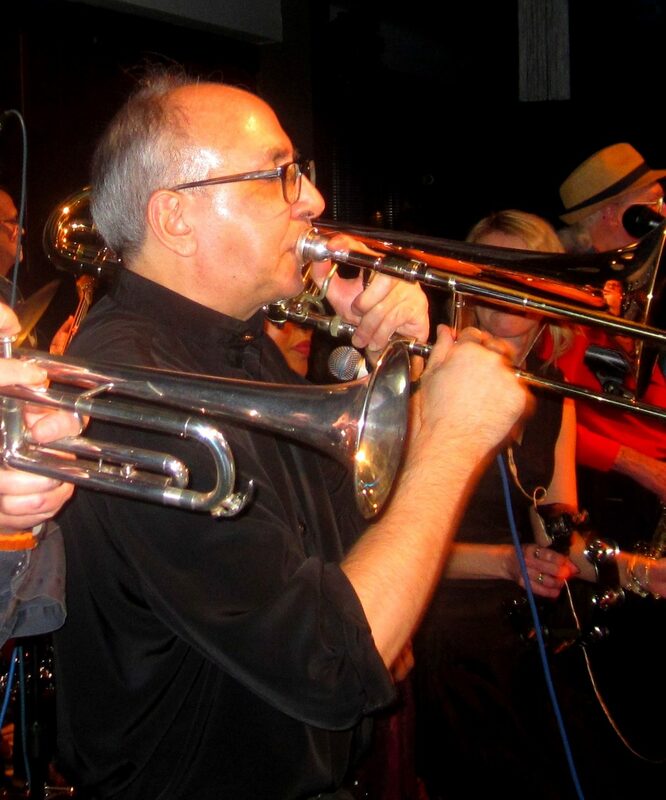 Prin has played the trombone since he was 9, and was brought up on a diet of jazz-funk, big-band, classical and brass band music. During his formative years, he studied at the Royal Northern College of Music and toured with the schools' orchestra to Austria, Sweden and Argentina. Prin joined The Gang in 1997 and has since ended up whiling away the hours arranging brass parts, set lists, and maintaining the PA. His favourite number changes every week, his favourite colour is purple and his favourite food is mango.